Kolkata Police Recruitment 2017 shared latest Job Vacancy notification for the recruitment of Ex-Servicemen Constables by job advertisement recruitment notification. The interested candidates who love to join and work as a Ex-Servicemen Constables in Kolkata Police job vacancy can apply immediately. Who Can Apply? Students who have completed 10th, 12th, Graduates can apply for latest recruitment notification offered by Kolkata Police. They are designed to recruit 250 candidates for the job vacancy of Constables. The interested and eligible candidates can apply before 20/06/2017. Kolkata Police happy to receive all job application from their applicants sending by an offline method. Eligibility: Eligible applicants can easily apply online for the Ex-Servicemen Constables Job on or before 20/06/2017. You can check below job information before applying this job recruitment which shows all about company details, age restriction, the process for job selection, require qualifications, application fee if any, learn how to apply any job and other more such details. Go through wisely, apply accurately before apply and send your job application in the form of offline. Job Address: Office of Commissioner of Police, K.P. BodyGuard Lines, 7 Diamond Harbour Road, Kolkata, Pin No.:700027. This job recruitment is for the post of Ex-Servicemen Constables to fill their job vacancies in their police office. However, it is now best job opportunity where they want to hire best 250 candidates who can work able to work as a police constable. 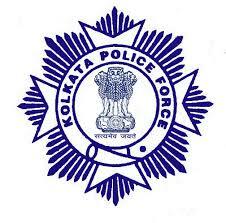 Below are the details of educational qualifications required by Kolkata Police. (i) The minimum educational qualifications must complete 10th or 12th or graduate passed from any recognised education board and the candidate must have passed Matriculation examination with main local language will be compulsory. (ii) Candidates must know and able to speak and write in Kolkata local language. Application Fees: The fees to apply this police job will have to pay when you apply for a job by visiting their office. Salary Band: The pay will be given very good will shall discuss on submitting a job application. Age Limit: You should not have retired worker from any government sector before this date on 01/01/2010, and your birth date should be on or after 01/01/1968. (i) For police constable selection, you must apply before or on 20/06/2017. (ii) No other more information about the selection procedure is disclosed in the recruitment notification. (iii) They may conduct written examination test and interview for candidates and select as per Kolkata police terms & conditions. All you need to do is send a job application to the Office of Commissioner of Police, K.P. BodyGuard Lines, 7 Diamond Harbour Road, Kolkata, Pin No. 700027. applications from along with their You should attach documents such as Bio-data/CV, copies of Pension Pay Order for age proof certificate before 20/06/2017 for Ex-Serviceman Constables by post. This vacancy is for the contractual base. You should remember the last date to apply for this job 20/06/2017. Hope you will apply for Kolkata Police Recruitment 2017 job vacancy for 10th, 12th, Graduates can able to apply For Ex-Servicemen Constables by sending job application. Check our other latest, govt., diploma, graduate job vacancies from our websites and share with your friends who wants to join this police job.